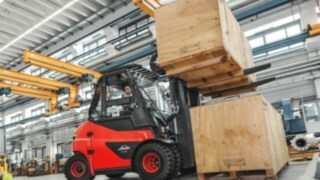 Counterbalance forklift trucks rarely tip over, but when it happens, it can endanger the driver’s life and cause significant damage to the truck and the load. It's generally caused by driver error. 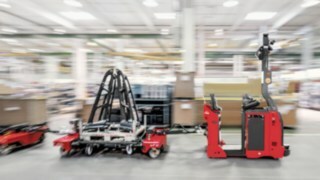 In order to reduce ‘human error’, Linde has developed an unique driver assistance system, setting new standards when it comes to safety. 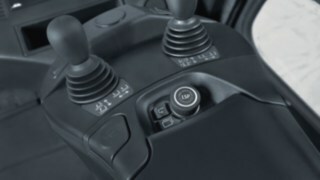 The Linde Safety Pilot (LSP) functions like an intelligent passenger and is available in two versions, LSP Select and LSP Active. In both versions, the driver can always see key parameters displayed on a small monitor. If the driving status of the truck becomes critical, warning colors appear on the monitor, and it emits a warning signal. 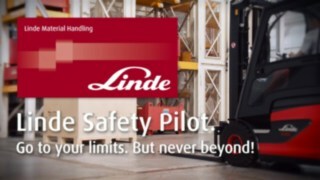 The Active version of the Linde Safety Pilot automatically intervenes in the forklift truck's driving and lifting functions. 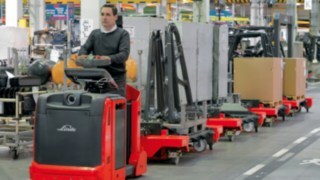 LSP Active also provides additional support to the driver in the form of an active assistance system: If they use their counterbalance forklift truck to lift a heavy load that is on the weight limit, the system emits visual and acoustic signals and slows down the lifting or tilting movement. If the driver doesn't react, the truck's lifting motion is stopped completely. The same thing happens when driving. 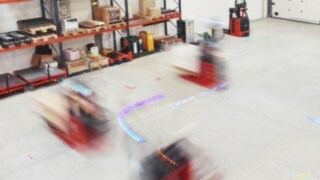 If the driver accelerates the loaded forklift truck too rapidly, brakes too sharply, or goes round corners too quickly, LSP Active intervenes in the driving function. 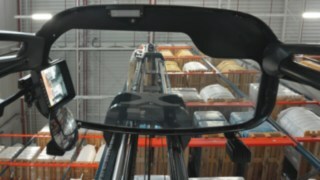 The system compensates for driver error and prevents the truck from tipping over in most cases. 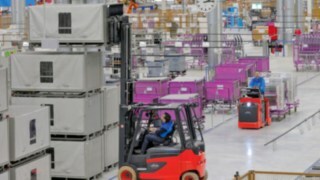 The Select and Active versions also have numerous convenience functions, from pre-selecting the lift height using integrated load scales, to pre-setting speed limits. 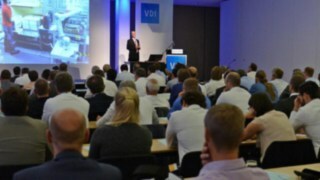 This makes operating processes safer and more productive. 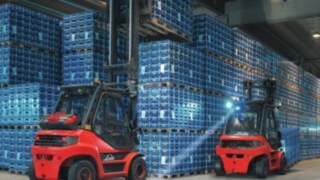 For example, before a journey, the driver can set the height the goods should be lifted to. Adjustments no longer need to be made during handling, saving time. 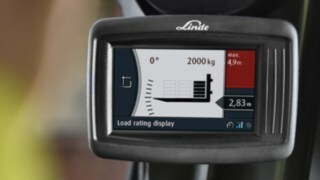 The integrated load scales weigh the goods in seconds and also contain an addition function. For example, the driver can quickly detect if a truck's maximum load capacity has been reached. An adjustable lift height and lowering threshold (fork wear and tear protection) help eliminate damage and accidents in advance. 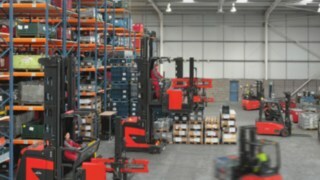 This means that low warehouse ceilings or uneven floors no longer present a danger. 1. 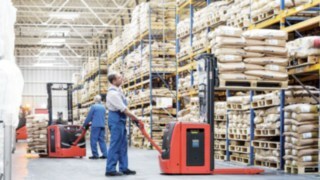 The driver picks up the load using the forklift. 2. They drive the forklift with the load lifted. 3. 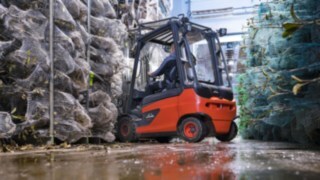 If the driver brakes with the load lifted, the forklift truck starts to tip over.